We are Supplier, and Exporter of Acupressure massager footwear. This massager is used to relieve leg pain. 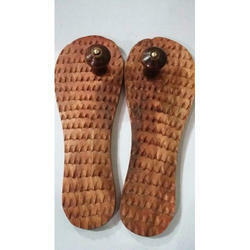 Backed by huge industry experience and market understanding, we are involved in offering a wide array of Acupressure Chappal to our valued patrons. 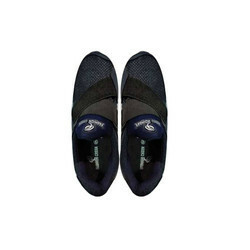 Acupressure Spring Action Massage Slippers is designed according to the foot reflexology. The dual benefit of Spring Acupressure and Magnet Therapy reduces pain in lower and upper back, neck, shoulders, hips, muscles and joints. Star Health Acupressure Spring Action Massage Slippers is designed according to the foot reflexology. The dual benefit of Spring Acupressure & Magnet Therapy reduces pain in lower and upper back, neck, shoulders, hips, muscles & joints. It improves blood circulation and reduces muscular tension. point is hand and foot on all bimari point. Reduces pain in lower and upper back, neck, shoulders, hips, muscles, joints & knee. Improves our health and beauty. It strengthens the immune system, preventing illness. - Acupressure Sandal is a light weight Footwear, based on Acupressure and Magnetic Treatment Therapy with foot Reflexology. Acupressure power foot mat full body relaxer natural massager very innovative product to relax our body & soul imagine a foot mat you stand on for few minutes that will relax your full body ! Total body relaxation.